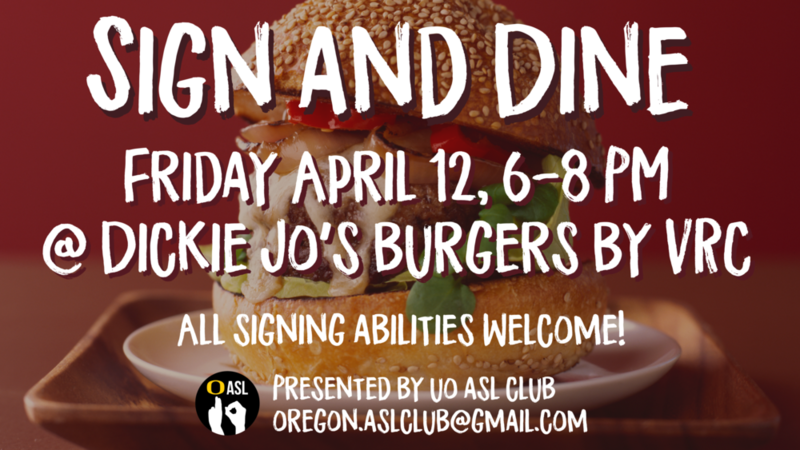 In 2017 I became involved with the University of Oregon American Sign Language Club as a social media designer. I created a logo for them and revamped their social media presence, resulting in increased event attendance. 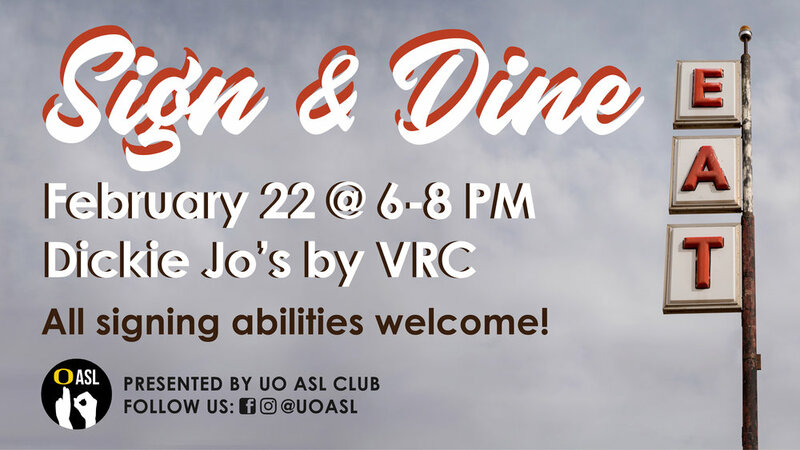 In 2018 I became the club president and continued design work along with event planning for UO students and the Eugene Deaf community. 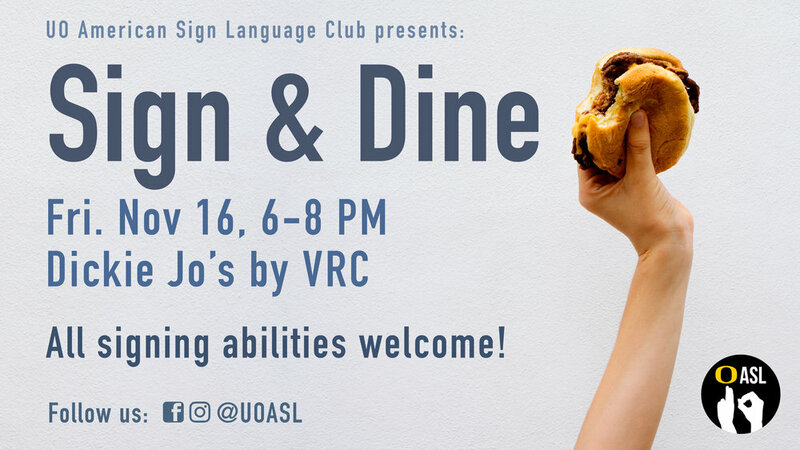 I planned the monthly Sign and Dine events, as well as weekly Silent Hours, and various events throughout the year like Deaf Culture Trivia Night, Holiday Craft Night, Bingo Night and ASL Carnival. 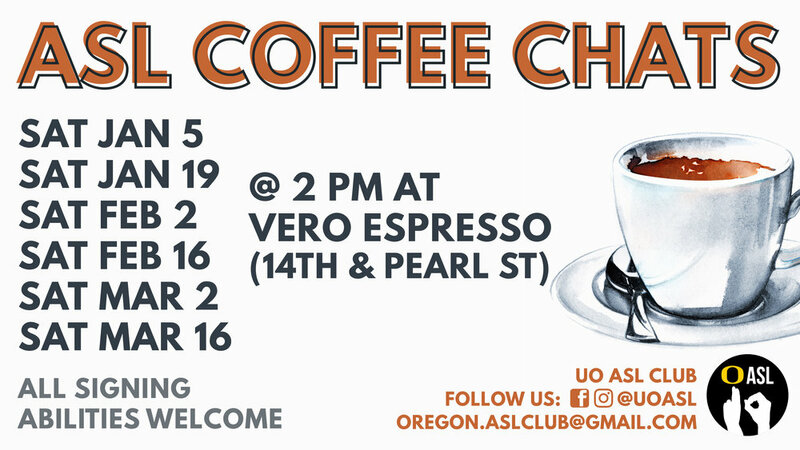 Besides inviting people to events, planning the events themselves and designing the ads, I also ordered stickers and t-shirts, printed and cut all the promo materials, ordered catering and scheduled meeting spaces on and off campus.